With a commanding stance and regal posture, the 2019 INFINITI QX50 stakes its claim as the next great SUV. With this model, as with any vehicle built by INFINITI, you’re guaranteed an exceptional level of quality. 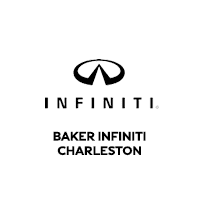 All that’s left is coming down to Baker INFINITI Charleston for a close-up view of the QX50 and its array of trims. Experience a whole new look at Charleston during a test drive with one of our staff.